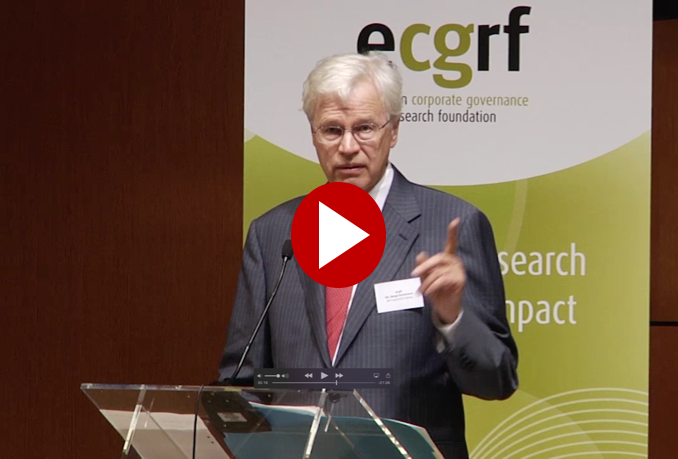 I am happy to report the launch of the European Corporate Governance Research Foundation. 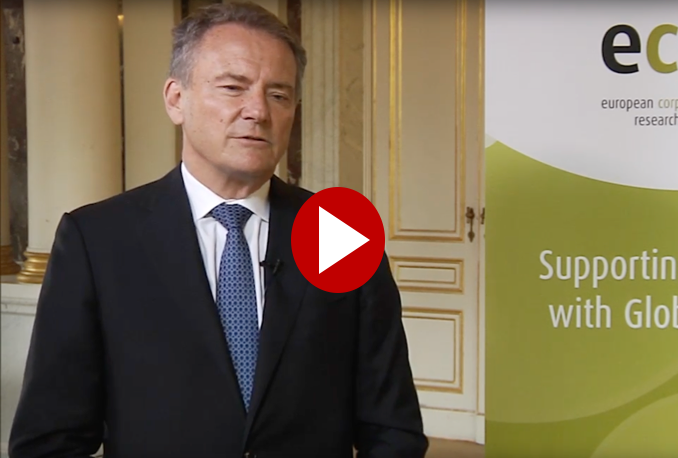 The launch conference was held in Brussels on May 31, 2016. Included below is a summary of the presentation made at the summary and links to videos of some of the events. The work of the ECGRF is important not merely for corporate law specialists but for those whose work intersects with advances in corporate governance theory and its contextual application within the domestic orders of states. This is particularly the case for those who work in public law, especially regulatory governance, and those who work in transnational space, where corporate governance is as much an issue of societally constructed structures as it is of traditional stated enhanced rules. Lastly, a deep understanding of the ideologies of corporate governance and its intertwining with fundamental philosophies of national law will be a critical step in the move toward a comprehensive treaty for business and human rights, or in the present, for the operationalization of the UN Guiding Principles for Business and Human Rights. While it is unlikely that such interfacing will come from the ECGRF itself, the principles, ideologies and approaches to law which are generated through their work will play a significant role in much that touches on the governance of business in global space. The European Corporate Governance Research Foundation was officially launched on 31 May 2016 in Brussels. It was attended by ECGI members and friends from around the world and the Foundation was launched with appropriate ceremony and attention on the importance of corporate governance research. 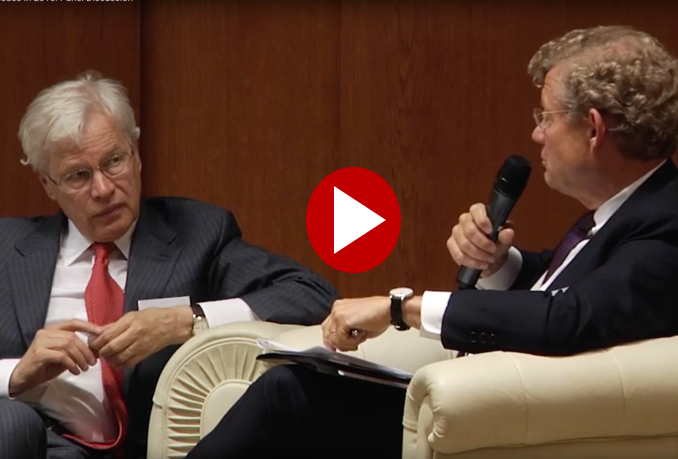 The event was opened by Prof. Ernst-Ludwig von Thadden (University of Mannheim), Chairman of the European Corporate Governance Research Foundation, who compared research on corporate governance to a fine wine, getting better with age. Mr. Paweł Świeboda (Deputy Head, European Political Strategy Centre, European Commission) then delivered an address which emphasised the importance and centrality of corporate governance across many key European issues such as responding to the new hyper-connected, collaborative economy, maintaining a competitive edge through high standards, rejuvenating the social contract and facing the demands of sustainable living in the future. He also signalled a change in direction for the 'better regulation agenda' to one that is more inclusive and innovative, along with a shift in focus from macro issues to micro dynamics that can uncover what is really going on in the economy at large. Mr. Świeboda's message was that corporate governance and the relationships that evolve through it can be transformative and supporting research in this area is highly important. Professor Bengt Holmström (MIT) presented a lecture entitled "Are Firms Too Transparent", that discussed possible problems that can arise when moving too fast with the tide of greater transparency. His lecture acknowledged the main drivers for greater transparency and some of the biggest challenges facing traditional corporate governance structures, namely technology and the involvement of the public, while also highlighting some of the costs that need to be considered when re-drafting the rules. One of these costs is a new concern that leaders may have for their reputation, with a stream of evaluation which can in some cases lead to wrong decisions being made. Another example is that of more regular reporting and disclosure resulting in companies wanting to look good more often and thereby focusing on more short-term projects. These changes can have investment costs that are more impactful than misconduct costs. Prof. Holmström also countered that some of the transparency regulation can be positive, such as mandatory non-executive meetings which removes any of the suspicion surrounding such conversations, and also changes surrounding executive compensation, suggesting that perhaps generally accepted remuneration principles could be one solution in this regard. The lecture was followed by a panel discussion chaired by Prof. von Thadden. The participants were Jean Pierre Clamadieu (Solvay S.A.), Jacob Wallenberg (Investor AB), Carl-Henric Svanberg (BP plc and Volvo plc), and Prof. Bengt Holmstrom (MIT). The panellists each offered their views on some of the main corporate governance issues that they face in Europe today, such as transparency, remuneration, the role of the board, and corporate governance principles. The discussion raised some important points, highlighting that trying to impose one set of rules across regions with different corporate environments can be dangerous and potentially value-destroying, and sometimes, for example in the aftermath of a scandal, more governance does not address the root of the problem which can have more to do with culture. On the issue of transparency, it was noted that there can be strong pressure from proxy agencies to make all targets (short and long-term) public, which requires some reflection. Regarding remuneration, the panel agreed that it is more of a communication device than a monetary incentive, which aligns the executives' activities with the strategy of the company but harmonisation of the rules in this area would require fiscal harmonisation which is an extremely challenging proposition. The panel also acknowledged that regulatory changes, such as SOX, can have a positive impact but can take time to take effect and can absorb a lot of valuable board time. On the subject of split roles for the Chairman and CEO it was suggested that developing arguments on what could be the right system for European companies regarding split roles could help companies to come up with a less emotional answer on this question. Overall, the comments and insight provided by each of the speakers at the conference offered several possibilities for future research while also highlighting how important it is to continue the debate on corporate governance issues which are central to corporate, political and social objectives today.